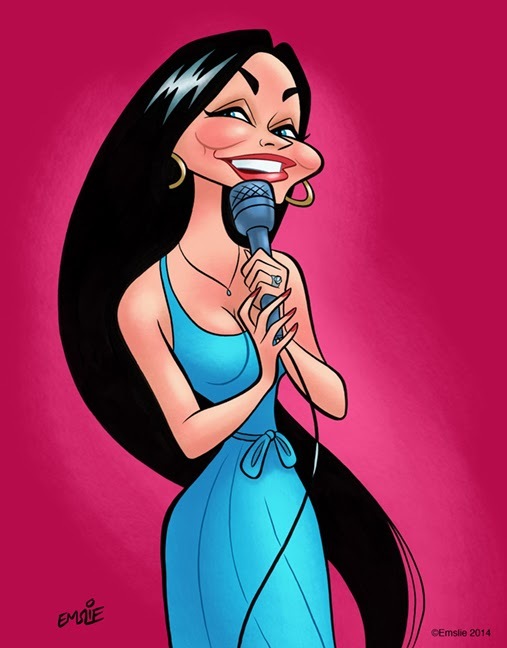 Yes, today is the birthday of that sweet-faced little country girl with the never-ending mane of hair, beautiful Crystal Gayle. Back in the late 70's and into the 80's, Crystal was my favourite female country vocalist. The kid sister of the legendary Loretta Lynn, Crystal was born Brenda Gail Webb, but received her stage name courtesy of Loretta, who got the inspiration for that moniker from the Krystal hamburger restaurant chain! Loretta actually wrote many of Crystal's first songs, but they didn't really go anywhere, although I must admit I quite love her first single, I've Cried the Blues Right Out of My Eyes. That title may have been prophetic though, in that Crystal had her biggest success just a few years later with the similarly titled, Don't It Make My Brown Eyes Blue, a massive crossover hit that did big business on both the country and pop charts. Crystal has a great range of music styles, not just country. She loves jazz standards and broadway showtunes from the "Tin Pan Alley" era, and late in her career she recorded a beautiful album of the songs of Hoagy Carmichael, a composer she admired very much. She'd first sung a medley with ol' Hoagy on a country TV special, seen here. Looks like Hoagy adored Crystal right back!